If you are looking for the best Valentine`s Day roses delivered in Perth, you have come to the right place! 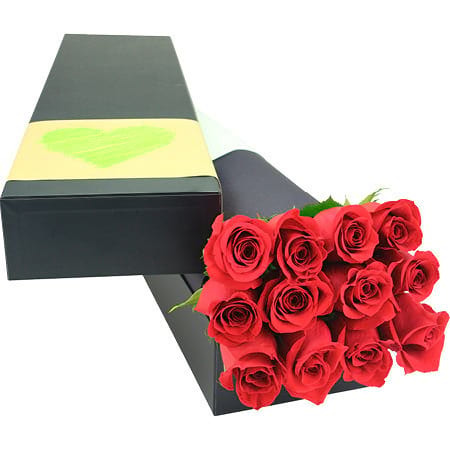 We`re talking about 12 long stem red roses in a stylish gift box delivered to your darling - you can`t get more classically romantic than that folks. Your special Valentine will receive 50cm rose stem perfection, guaranteed to WOW. Please Note: Due to volume and logistics on this day we are unable to guarantee specific delivery times. All roses delivered for Valentine`s Day will be made anytime between 7 - 5.00pm for business addresses and 7 to 7pm for home addresses. No re-directs will be possible if the recipient has left the delivery address for the day, however we will try, where at all possible, to accommodate your needs if this situation does arise. No changes to orders can be made after 18:00 AEST Tuesday 12th February for Thursday 14th deliveries. We thank you in advance for your understanding!